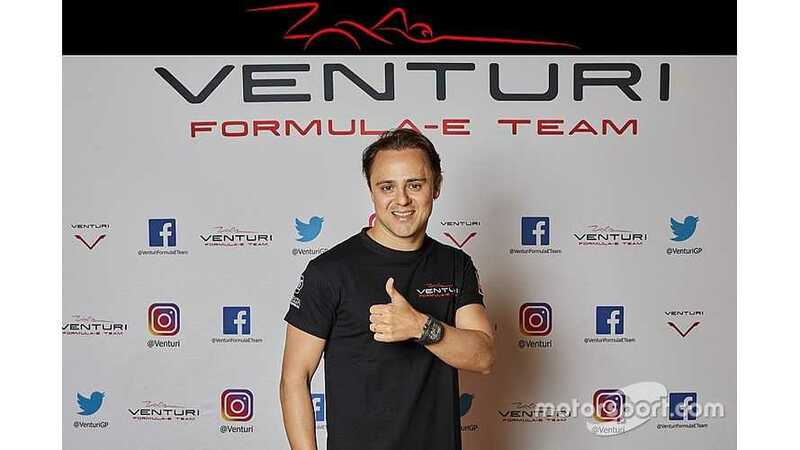 Former Sauber, Ferrari and Williams Formula 1 driver Felipe Massa will join the Venturi Formula E team from the 2018/19 season. Massa, who won 11 grands prix during his 16-year career in F1, has previously tested for the Jaguar FE squad and recently visited the electric series at its inaugural event in Rome. The 37-year-old had hinted that he would "perhaps" be racing in FE next season ahead of that visit and he previously stated his desire to move to FE before his F1 retirement was announced towards the end of the 2017 season. He has been signed on three-year deal with Venturi and will complete a private test session with the team’s VFE 05 Gen2 car in the coming weeks. “For some years now, I’ve been clear about my interest in this innovative, forward-looking discipline that’s developing exponentially. “I especially like the format of race meetings, the city-centre circuits and the contact with the fans. I can’t wait to take part in testing at the end of the month. “Gildo has always been a step ahead when it comes to high performance electricity vehicles. Venturi is currently seventh in the 2017/18 FE teams’ standings and fields Maro Engel and Edoardo Mortara, who will be replaced by Tom Dillmann for this weekend’s race in Berlin due to a clash with the latter’s Mercedes DTM programme. It was announced last week that the Monaco-based electric vehicle manufacturer would supply its season five Gen2 car to the HWA entry that is joining the FE grid next season. “It’s an honour to welcome Felipe to the Venturi family,” said Pastor. “I needed him, his experience, his speed, and his openness. Formula E is extremely complex to set up and drive. “Even more so than in other disciplines, teamwork between the driver and the engineering team is one of the keys to success.